Greetings New Periscope and Blog Friends! Thank you for your precious and transparent answers to my “Give-Away” question at the end of this pots! 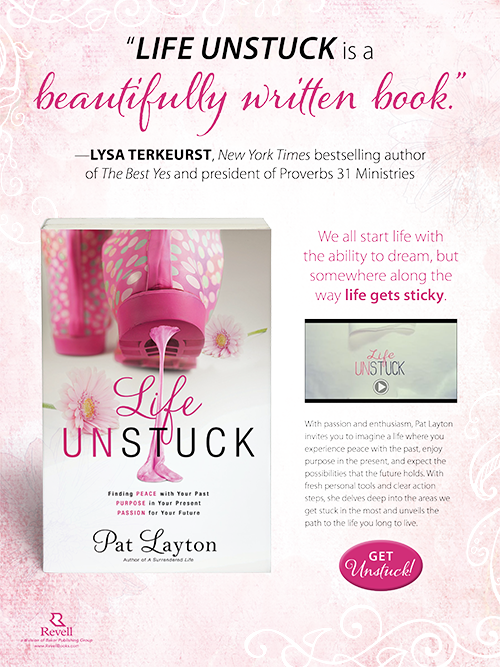 I am giving away 5 Life Unstuck Books on Friday..Read on for how you can win! Have you ever had a piece of furniture that had been in the same place for so long that a deep pit, a groove, formed in the floor, carpet or rug beneath it? Sometimes those grooves are annoying and we don’t like the nasty spot on our rug. On the other hand, if that couch or chair gets knocked from it’s PERFECT spot those deep grooves might just come in handy to show us where that piece of furniture belongs, am I right? In January of 2014 EVERYTHING in my life moved leaving a bunch of empty places where something used to be. Things that had been steady for DECADES, moved. Familiar things that created comfortable grooves in my life and clearly told me “that goes here” like carpet does with heavy furniture—moved. The changes started with a PHYSICAL move from our very large home of over 20 years to a new smaller bungalow in a remote area of our city. Can you say—“Where IS the Starbucks?”. That move, was first in a series of life changing events that involved all 3 of our adult children and grandchildren moving away from home from a few miles away to thousands of miles away. Empty grooves where PEOPLE used to be were left in the carpet of our lives reminding us over and over—what was supposed to be there has been moved? While these physical moves where taking place, the ministry that I founded over 25 years ago was undergoing a transition that left emotional grooves in my heart, my identity and my purpose. Empty grooves where PURPOSE used to be were left in the carpet of my life reminding me over and over—what was supposed to be there has been moved! While these PHYSICAL and EMOTIONAL moves were occurring, I was writing a new SPIRITUAL book with called Life Unstuck that was making me feel like a daily fake. Each day I sat STUCK in front of my computer with a promise made and a looming deadline as I burrowed into places of my life where FAITH used to live. All I found were empty grooves that reminded me over and over what was supposed to be there has been moved! God has done a tremendous work in my life over this season to help me experience Life Unstuck but the stuff that has moved into the places where stuff has moved out of has not lived there long enough to create new marks of “that is where that is supposed to go” yet. I still find myself moving things around mentally, physically and spiritually to try to see if they look better somewhere else. In the meantime, I have been considering the topic of my next book since the end of the last book. Writers do that. One thing, possibly the only thing that has not moved in my life over the past 18 months, is my passion is to unpack God’s Word in a way that helps me, and those around me, see Jesus in everyday life. Life Unstuck unpacked the truth that “God sees you” out of Psalm 139. 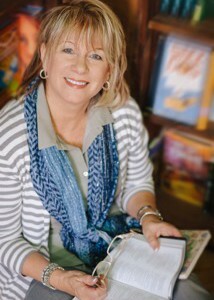 My prayer is to get better and better as a writer who shares God’s word in real life and I need YOUR HELP!! PLEASE! As I am praying and preparing for those words to come together, I would love to hear from you and will REWARD YOU for taking time to answer. EVERYONE who does will receive a FREE DOWNLOAD of 24 UNSTUCK TRUTHS from Life Unstuck–and a RANDOM DRAWING of 5 will receive a FREE copy of Life Unstuck next week! Has ANYTHING MOVED in your life in the past year, if so what was it and how are you managing? Blessings and thank you for the input! Ill be following! Previous Post: « How to Get My New Life Unstuck Group Study Leader Kit For–FREE! I so loved your periscope session today and did share it with all my followers. Very much looking forward to your mentorship. Much love to you sweet sister in Christ ? Hi Melissa!! Thank you so much. For some reason anything VIDEO shakes me up 🙂 Thank you for sharing about your “moved place” this year. It makes such a difference to have a “support team” oh my–ALL the difference really. And whatever does the world do without God’s WORD?!!! I would not have survived last year without His promises. Thank you for sharing my Periscope. I am excited to have my first Monday Morning this week and NEXT WEEK from Focus on the Family! YEAH!! What a blessing it was to come across your Periscope this morning! Looking forward to Mentoring Mondays, A Word For Women Wednesdays, and of course Friday Free Days! I am just about to begin my Periscope sessions starting Monday the 24th at noon and would love to have you join me. I am a lover of Jesus, a mom of nine and married almost 25 years, a speaker, teacher of God’s Word, and an aspiring writer. We have been through so much change in the past three years there is not room to write about it but that is what I will be sharing on Monday. It is titled “Embracing Change”. I did share your Periscope on my byGrace Ministries FB, I just met you this morning on Periscope, and I will also share this blog page with my FB friends. Blessings to you Pat and I look forward to getting to read your book! Greetings new friend! I will follow you back and see you scope next week! BE BRAVE!!! You can do this. A Mom of NINE — Bless your sweet heart! There is nothing better! I can’t wait to hear about your change last year. Thank you for your sweet “shares” and support! It matters so much! I feel so encouraged by such a sweet sisterhood of support! Thank you so much for sharing, I really needed this today! One thing that has moved in my life is the guy who I thought I was going to marry. He absolutely blindsided me 9 months ago, leaving me absolutely devastated. But in all the pain I’ve grown so much closer to Jesus and learned how important faith is in a relationship, so much more than I ever thought. Even though someone may grow up in church doesn’t mean they really believe, and that honesty is a must. I’m learning how to trust Him more that I ever have before and realizing that He has a plan in all of this! Oh my Abby–such a tender heartbreak. I am so thankful the Jesus never leaves us or forsakes us!! He has proven that truth to you!! Thank you for sharing this–somebody out there needed to read it to get through the day!!! Read above and be encouraged by a sister in Christ! You are NOT ALONE!! Gather close to those God has placed in your world and let them walk through this transition with you! I tried watching you on Periscope but bad connection 🙁 but did watch the replay. I’m really looking forward to your Mentoring Mondays, Wednesdays Word and Free Friday! The last year has been a rollercoaster of dry seasons with the Lord. In those dry moments as I open up the Word it feels like I’m going through the motion with no destiny. But I’m not giving up or closing the Book because I know the River is around the bend! Thank you taking time out of your life and putting time into ours. Tammy–YOU ARE FUL of God’s love and gifting!! He’s got you girl. As I speak to myself in the mirror–enjoy the ride and be able to look back and see what the Lord has done!! Hi! Loved your periscope & shared it during the live broadcast. I was so very excited to hear you might do a bit of free mentoring for us. (Honestly, it’s weird to be thinking of starting writing mid-life, but I’ve been feeling God is prepping that, nudging me, for several months, & the idea is very intimidating.) Anyway, just finally got a minute to come to the blog. To your question: Everything has moved, too much to really detail. This last year & more had been one of big transitions & changes. Though I really believed I was following God during these, it’s been tough. The two largest changes were breaking off a very long-term relationship & leaving my job. However, I really still feel stuck as there hasn’t been progress in either area as I’d like. (Other areas did resolve & go forward.) Dealing with it in the meantime has involved prayer, Bible verses, going running, & time with friend (new, too!). [& maybe the occasional dessert ?] While I am still stuck in the in-between, I am ready to see what’s next. 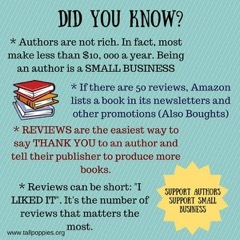 I’d love to read your book! I just know I’m going to enjoy hearing the next periscopes. (One benefit of being in a job search is that I can probably catch it live for now!) Your personality really shines through, so I’m really looking forward to them! Thank you again for offering advice to us! Tiffany–It will be YOU I think of as I BRAVE these Periscopes. There are MANY writers-speakers and coaches who are far more advanced than I am but there are MANY who are not–I will do all I can to pour out all I have to offer!! Some years ago my Dad was diagnosed with Dementia. For some years it didn’t seem to affect him much, until last year. He was coming to our house to visit, which he always did. But he got confused and ended up in a totally different county that was like a two or three drive for us. We called the Sheriffs office and they put a “Be on the lookout” for him. I had no idea where to start even looking for my Dad. But after struggling to sleep and praying that God would help, my husband and I got up at four in the morning and went to all the parking lots where we thought he might have just stopped when he got confused. At six a.m., we received a call from a deputy from Harris County Sheriff’s department saying they had him at their office and he was fine! We live in Floyd county so it took us awhile to get there, since we didn’t know where it was in the first place. They told us they found him in the middle of the interstate sitting in the back seat of the car. The car was messed up alittte, but fixable. I was so glad and so relieved when we got to him. I had no idea what he was thinking,or if he felt embarrassed so to keep him from feeling bad, I said we I walked in, “Well this is the first,me getting my Dad from the jail!” He just laughed. Of all the trouble I put him through in my younger years, he was the only one to show me the “true” manifestation of God’s love!! He has gotten worse name and we both struggle. He struggles to remember and I struggle to not cry in front of him.Thank you for reading my story. Instead of finding one lost sheep, God found two!! Praise be to God!!!! Trisha, we enjoyed this email so much we had to cut and paste (after getting your permission of course) Thank you for sharing!! Blessings on your journey of faith!! Oh Pat, a resounding YES! What moved in my life left marks imbedded so deep, I’m not sure they will ever go away. Someone I considered my best friend had chosen to put distance between us. We used to do things together weekly, communicate regularly and share what was happening in each of our lives. She began moving away gradually and now I see her briefly once a month at a meeting we attend. I’ve searched my heart and can find no reason for it unless God is causing it. The deep imprint left in my heart is painful. I was reminded though, on several occasions, of my life verse…Jeremiah 29:11, and if I believe that promise (and I do); then I must accept this moving away as a work that God is doing in my life for a purpose…not to harm me, but as something He sees as necessary for me to prosper in some aspect of my life. Oh June, my heart hurst when I read this, very precious friend changes where part of my life moves as well so I completely understand your loss and heartbreak. Saying a very familiar prayer for God’s wisdom and direction. 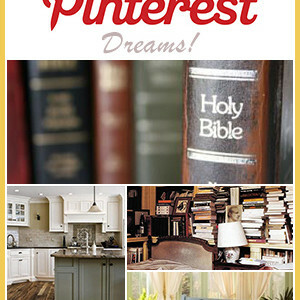 AMEN Yvonne–I love to see women identify the work of the enemy in our lives and ministry. DIG hard and find every promise that God has in His Word for your Life Unstuck and cling to it each day. Thank you for being so transparent and sharing your story! Stay in touch!! Hello Pat! I found you today through Jennifer Rothschild on twitter. And I am so glad to have found your blog and your periscope! I am especially excited about your Monday Morning Mentor scopes. I look forward to learning from you. Regarding your question about things moving in my life… This past year has been such a year of change and uncertainty for my family. We are in ministry, and my husband was most recently filling a short-term ministry position. It was a three year position, and we knew that it would soon end. We have been praying about, and seeking the Lord’s will regarding, and a new ministry opportunity. At this point we are still waiting for the right door to open. Our daily schedule has changed a lot this summer now that my husband is working in an office outside the home instead of having an office in the home with flexible work hours. Our life is complicated by the fact that I have a severe chronic illness that leaves me mostly homebound due to weakness, fatigue, and migraines. Life with a disabling chronic illness is always hard, but this summer has been especially challenging. I have had to push my body harder than I should in order to take care of our children while my husband is out of the home. Because of this, my health has been declining, and I can now only be out of bed for 2-4 hours on a good day. It is hard. I grieve the loss. I miss spending time with my family. It hurts to see my children hurting and missing me. Some days it feels like I am barely holding on. But I persevere. I pray. I read my Bible. I cling to hope. We have only two weeks left until school starts. And I thank the Lord that He has sent extended family members here to live with us and provide in-home help until school starts. This allows me to get the rest that my body needs, and it allows my children to have time to go outside and play. Future work and ministry is still uncertain, but we are praying and trusting that the Lord will open the right door at the right time. Much has moved, and life is uncertain, but what a comfort to know that God does not change, that He cares for us, and that He has a good plan and purpose in all of these things! Oh darling Rachel, what an honor to have you travel over to my blog! Sometimes the burden seems unbearable doesn’t it? I admire your clinging to God’s Word for your hope and answers. He absolutely promises to never leave us or forsake us. Your faith inspires me and I know it honors and points the way to Jesus to those around you, including, especially, your children!!! Read 2 John for a reminder of your faithful rewards!!! I retired from teaching after 32 years. At first I enjoyed the time that was now mine to do as I pleased, but after a while I started feeling like I was adrift. I loved teaching so I signed up to substitute in the school from which I retired. It was wonderful! I got to do the part of teaching I loved – being with the kids – but didn’t have to worry about the lesson plans, meetings, etc. I also signed up to participate in more volunteer activities at my church that took place during the day. Now I feel like I’m contributing & have a focus. Retirement has turned out to be quite enjoyable once I established a new normal for myself. Yeah Linda–a WIN-WIN!! LOVE IT!! Thank you for your visit and sweet words! I tried to watch the Wed periscope as a replay but the button left (even while the broadcast is still there). I can play all the other people in my list so it’s not my phone. I’m really sad that I missed the word on Wed. Thank you for the heads up Tiffany, I seem to be deleting the REPLAY prematurely. Thank you for your patience and support! !